Urban regeneration specialist Queensberry has appointed DS.Emotion to work on three of its retail and leisure destinations in the UK. 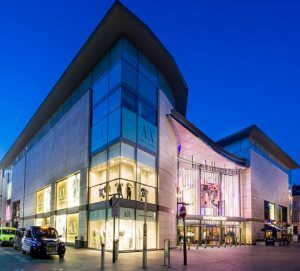 DS.Emotion has been appointed across its network of studios in Leeds, Manchester and London to provide brand positioning and marketing support collateral for Angel Central in Islington, Metquarter in Liverpool and Barnsley’s retail and leisure destination. It says it will use its experience to create a "compelling place for customers to visit". DS.Emotion was established in Leeds 25 years ago and now works with clients including Grainger Plc, Hill, Land Securities, Muse and Berkeley.